Download the Slack add-on from this site. In your WordPress site, click the “Plugins” link. Click the “Upload Plugin” button. Click “Choose File” and select add-on files. Click “Install Now” and then “Activate Plugin”. 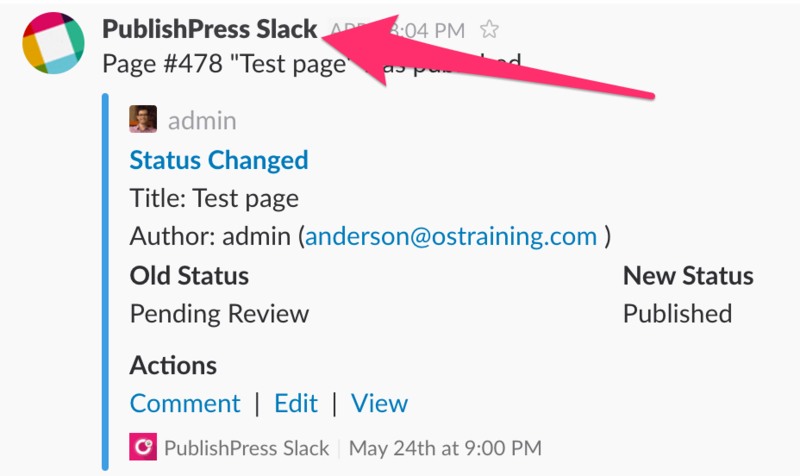 After the menu loads, click on the “Slack” tab. Click on “Choose a channel…” and select an existent channel. You can create a new one if you want. 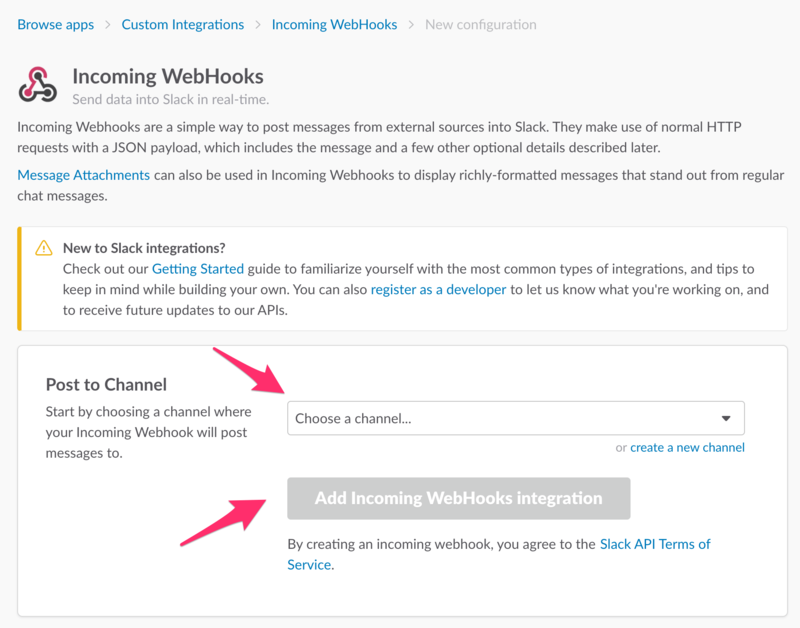 Click on “Add Incoming WebHooks Integration”. Copy the new WebHook URL. You can choose anything you want for this option. This is the username displayed in the notification. 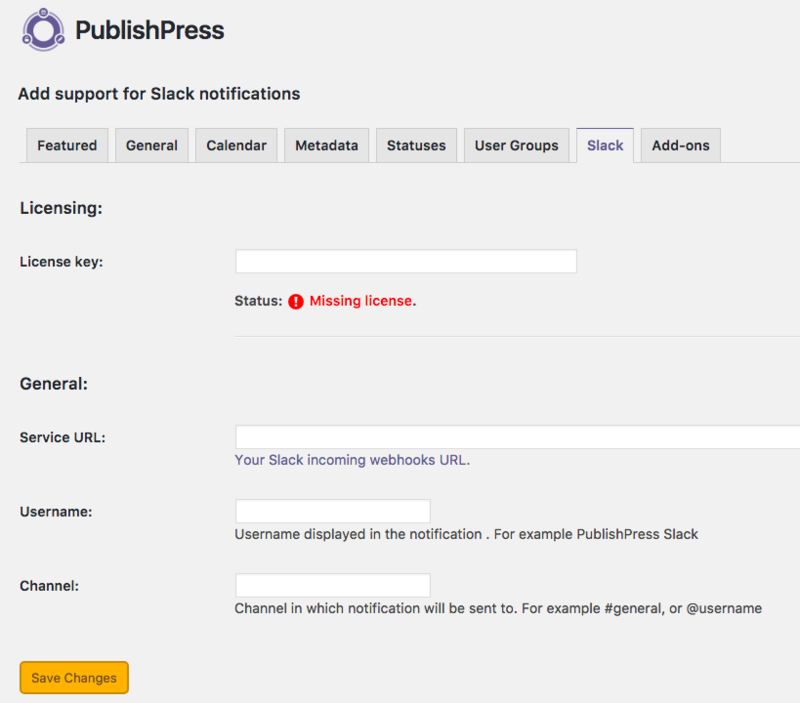 This is the Slack channel that notifications will be sent to. You should use an existing channel or username.